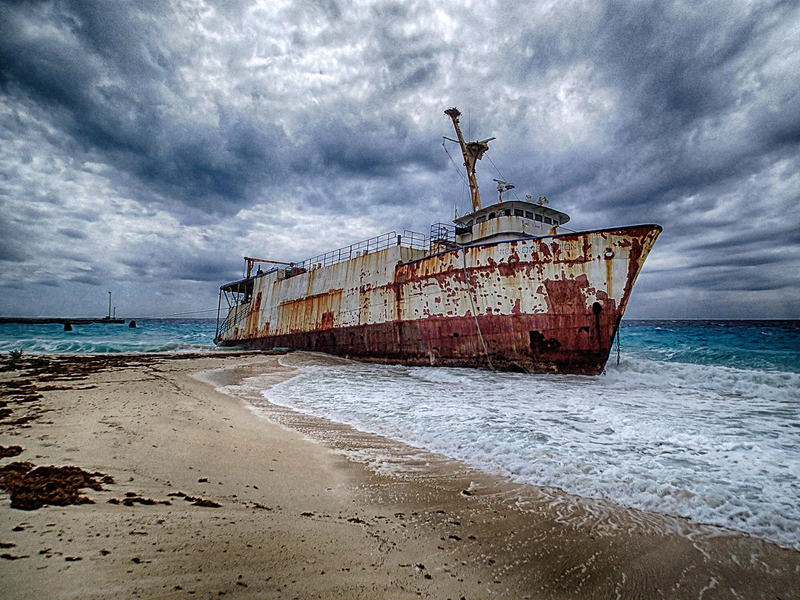 There is a large grounded ship at Governor’s Beach on Grand Turk Island. Originally, the Mega One Triton was an oil rig service vessel. Later, it was decommissioned as an oil rig service vessel and began a new life as a cargo ship. The Mega One Triton ran a cargo route between the Dominican Republic and Grand Turk. The Mega One Triton was washed ashore during Hurricane Sandy in 2012. There have been several attempts to remove the vessel from the beach, but due to its size and lack of funding the efforts have continued to be unsuccessful.